This DevOps training in Delhi will prepare you for a career in DevOps, the fast-growing field that bridges the gap between software developers and operations. You’ll become an expert in the principles of continuous development and deployment, automation of configuration management, inter-team collaboration and IT service agility, using modern DevOps tools such as Git, Docker, Jenkins, Puppet, and Nagios. DevOps jobs are highly paid and in great demand, so start on your path today. Simplilearn’s DevOps training in Delhi is designed to help you become a DevOps practitioner and apply the latest in DevOps methodology to automate your software development lifecycle right out of the class. You will master configuration management; continuous integration deployment, delivery, and monitoring using DevOps tools such as Git, Docker, Jenkins, Puppet and Nagios in a practical, hands-on and interactive approach. The DevOps training course focuses heavily on the use of Docker containers, a technology that is revolutionizing the way apps are deployed in the cloud today and is a critical skillset to master in the cloud age. What skills will you learn in this DevOps course? Who should take this DevOps course? DevOps career opportunities are thriving worldwide. DevOps was featured as one of the 11 best jobs in America for 2017, according to CBS News, and data from Payscale.com shows that DevOps Managers earn as much as $122,234 per year, with DevOps engineers making as much as $151,461. DevOps jobs are the third-highest tech role ranked by employer demand on Indeed.com but have the second-highest talent deficit. Prerequisite knowledge of software development, preferably in Java, and the UNIX/Linux command line tools are essential for this course. What are the projects included in the DevOps course? As part of the coursework, you will complete three projects based on industry use cases. A global bank recruits 500 graduate software developers each year. The developers are employed at sites in four different countries. The bank requires a web-based questionnaire system to assess graduates’ programming skills so that they can provide appropriate training. You will need to design, implement and deploy part of the system. A media company wishes to offer a website where users can upload photographs. Captions and titles can be added to the photographs. Customers can order prints of photos on T-shirts, mugs and other items. You will need to design, implement and deploy part of the system. A hospital wishes to implement a system that can detect harmful drug interactions. They want a mobile phone application that allows doctors to enter or scan prescriptions. The system will then check for drug interactions, and any conflicting drugs will be highlighted so that the prescription can be changed. You will need to design, implement and deploy part of the application. 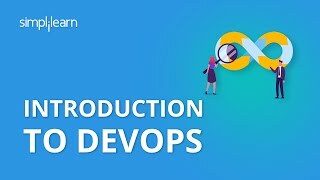 What projects are included in this online DevOps training course? Demonstrate the continuous integration and delivery by Dockerizing Jenkins Pipeline. Install Dry, demonstrate its interaction with Docker containers and images, and monitor it. Deploy the Angular application in Docker. The Angular application should be built with the Angular CLI along with Docker Compose for development and production. Deploy the WordPress application to the Kubernetes cluster, automate the delivery with Jenkins, and manage the source code versions on GitHub. What are the prerequisites to take this course? How do I become a DevOps Engineer? This course will give you a deep dive into DevOps tools and methodologies, enough to prepare you to excel in your next role as DevOps Practitioner. You will earn the Simplilearn DevOps certification that will attest to your new skills and on-the-job expertise. Who provides the DevOps certification and how long is it valid for? Upon successful completion of the DevOps training course, you will be awarded an industry-recognized course completion certificate from Simplilearn which has a lifelong validity. Do you offer a money-back guarantee for the training program? Yes. 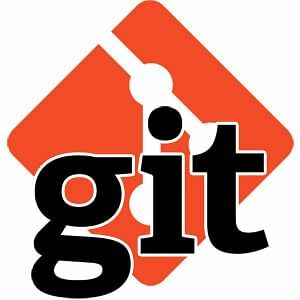 We do offer a money-back guarantee for many of our DevOps training programs. Refer to our Refund Policy and submit refund requests via our Help and Support portal. If I need to cancel my enrollment, can I get a refund? Yes. You can cancel your enrollment if necessary. We will provide you with a complete refund after deducting the administration fee. To learn more, please refer to our refund policy. The content was very interesting and helpful. The trainer used to share a lot of real example with us which helped us to understand learning experience. Thank you Simplilearn. The trainers in-depth knowledge on the subject helped me understand DevOps better. The course content is very informative and the trainer's expertise helped me learn about the challenges involved with implementing DevOps. The training was conducted very well. The course content is very informative and the trainer gives sufficient time to explore on the lab, which is really helpful. The trainer explained the concepts with clarity & provided in-depth details. The training was a great experience. Simplilearn helps to make your concepts clear. Learning with hands on activities really helped me. The trainer was approachable and he ensured all the participants are at the same level of understanding. The course was very engaging and interesting. Though the whole concept was very new to me, I was able to follow it very easily. Overall the training was a great experience. Thank you Simplilearn! I have enrolled for DevOps course from Simplilearn, one of the best online learning platforms. Though the classes were live, I used to feel like I was sitting in a classroom and attending it. The best part was whenever I missed my class, I was able to download the recordings of the classes. The trainers were friendly. He used to listen to all doubts and provide practical scenarios about the course. What is the average salary for a DevOps Engineer in Delhi? According to PayScale, DevOps Engineers in Delhi can earn an average salary of Rs 666,232 a year. The earning potential can increase for individuals who have undergone a DevOps certification training program. What are other types of roles within the DevOps space available in Delhi? Which companies are hiring DevOps Engineers in Delhi? Companies like ThoughtWorks, Cisco, MSG AI, Nokia, Gartner, Dimagi, United Health Group are looking for skilled DevOps experts in Delhi. Simplilearn provides recordings of each class so you can review them as needed before the next session. With Flexi-pass, Simplilearn gives you access to all classes for 90 days so that you have the flexibility to choose sessions as per your convenience. All of our highly qualified trainers are DevOps certified with at least 15 years of experience in training and working in the IT, Agile, ITSM and/or DevOps domains. Each of them has gone through a rigorous selection process that includes profile screening, technical evaluation, and a training demo before they are certified to train for us. We also ensure that only those trainers with a high alumni rating remain on our faculty. Is this DevOps training live, or will I watch pre-recorded videos? The DevOps online training is conducted through live streaming. They are interactive sessions that enable you to ask questions and participate in discussions during class time. We do, however, provide recordings of each session you attend for your future reference. Classes are attended by a global audience to enrich your learning experience. What are the system requirements to attend this training session? Headset, speakers and microphone: You’ll need headphones or speakers to hear instruction clearly, as well as a microphone to talk to others. You can use a headset with a built-in microphone, or separate speakers and a microphone. All of the classes are conducted via live online streaming. They are interactive sessions that enable you to ask questions and participate in discussions during class time. New Delhi is the capital of India and is the largest commercial center in Northern India. New Delhi's economy is run by the city’s information technology and telecommunication industries. Home to large number of national and multinational companies, New Delhi offers ample opportunities for professionals with diverse skills to grow. Simplilearn offers DevOps training in New Delhi. The training is designed by experts who have experience in cloud computing for over a decade. DevOps is a programming delivery model that lays emphasis on automation. This model of delivery streamlines the coding process so programs are released faster and with fewer errors. DevOps Programmers in India can earn about 14 lakhs a year and are in demand throughout the globe. If you’re looking for a DevOps certification in New Delhi, Simplilearn’s learning delivery model combines the personal motivation of live virtual classroom instruction with the reinforcement of relevant practical projects and the support of 24x7 live teaching assistants. Make the most of your current or future cloud computing career with an intensive DevOps online training in New Delhi from Simplilearn.